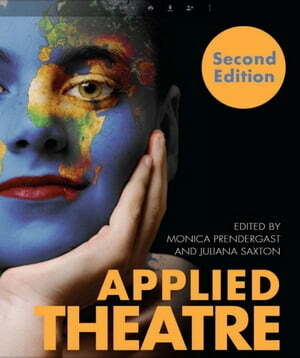 Collins Booksellers - Applied Theatre Second Edition by Monica Prendergast, 9781783206278. Buy this book online. Six years after its initial publication, Applied Theatrereturns with a second edition. As the first book to assist practitioners and students to develop critical frameworks for implementing their own theatrical projects, it served as a vital addition to this area of growing interest, winning the Distinguished Book of the Year award from the American Alliance for Theatre and Education. Editors Monica Prendergast and Juliana Saxton have updated the book to reflect shifts in practice over the last few years in the world of applied theatre. Drawing on their backgrounds in drama education and pedagogy, the co-editors offer introductory chapters and dozens of case studies on applied theatre projects around the globe. This new edition of Applied Theatre will encourage students and practitioners to acquire a deeper understanding of the field and its best practices.